I have just started to read Photography: A critical Introduction edited by Liz Wells. Unlike most books on photography initially this book did not have many example images and is quite hard going. Nonetheless it is full of interesting material which I will probably come back to. 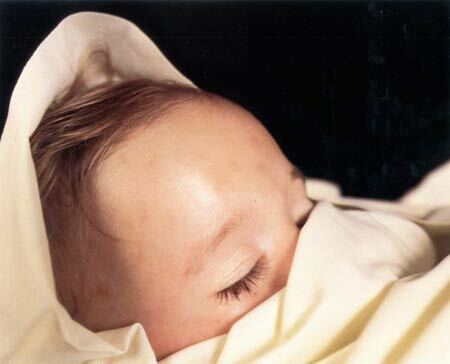 Flicking through the pages of some of the images I was drawn to Andres Serrano (b.1950), The Morgue (Fatal Meningitis ) 1992. From the title the viewer is immediately saddened to know that the image is that of a child that has died. Serrano visited many morgues and photographed a collection of people, some of whom had a violent death. This is akin to Victorian days where dead people were photographed as keep sakes, this was also very popular for children but soon died out by the turn of the 20th century. Going back to this image though is, as the book describes, 'blurring the line between sleep and death'. The child looks asleep, at peace in an air of serenity, leaving the viewer with many mixed emotions. Yet the child leaves behind parents who will be distressed and this causes friction between the viewer and the photographer as someone who should perhaps not have taken this image and left the parents to grieve and the child to rest in peace. I would hope that the parents gave their consent for this image to be taken and published. Perhaps to make others aware of the modern day plight of death in children through meningitis. Politically this image could be used by a Government or Health Organisation advertising awareness in the disease, trying to capture the imagination and feelings of parents, grandparents and careers. One would hope if it were then the death of this individual would have some meaning, something we all try to extract from life and death. Serrano is an interesting artist, of mixed styles, some of them very controversial, a provocateur perhaps! This is though a very beautiful image made from a tragic event.